Jack Bonham started the encounter in goal, commanding a back-four that included James Clarke, Michael Kelly, Daniel Leadbitter and Tony Craig, with the captain’s armband handed to Craig for the evening’s proceedings. 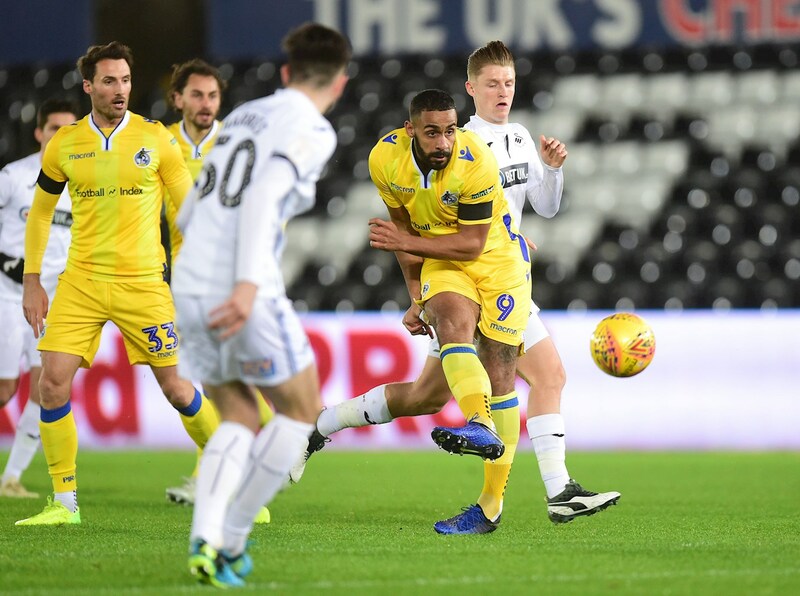 Inside the early stages of the game, both sides enjoyed spells of possession to ease into the contest – with Rovers registering an early shot through Stefan Payne, but Benda in the Swansea goal wasn’t troubled by the striker’s attempt that arrived at the goalkeeper at a comfortable height. 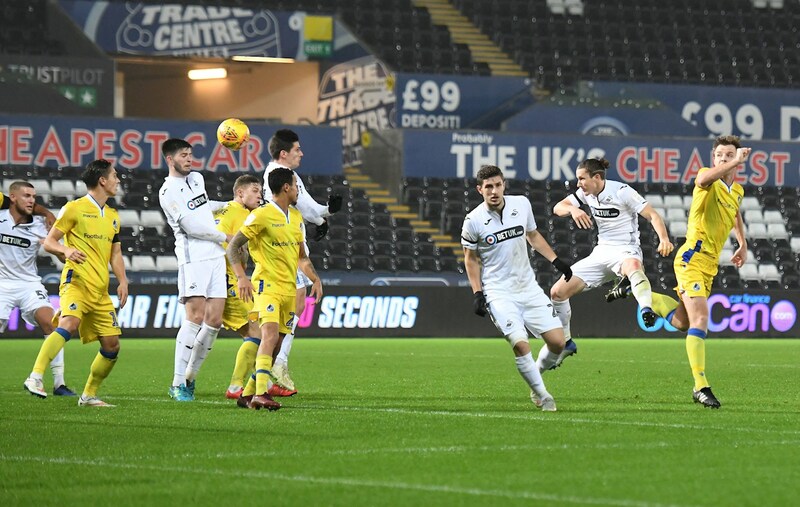 With the game progressing into quite an open contest, Rovers started to enjoy the fair share of chances on the Swansea goal. An adventuring break forward by Daniel Leadbitter created the opportunity to launch a cross into the mix – as a smart delivery from the right-back was glanced over the crossbar by a powerful header from Stefan Payne. The flow of chances continued for Rovers inside the opening twenty-five minutes – a cushioned header back across the box from Alex Rodman fell to Tom Nichols, as the striker witnessed his volley at the near post deflected wide of the target. Perhaps the best chance of the first-half fell Rovers’ way, as a cross from Leadbitter bounced around the Swansea area and was turned towards goal with a powerful volley from Alex Rodman, with Benda reaching high into the top corner to tip the effort from the winger wide. Swansea pushed forward and grasped the opening goal of the encounter shortly after Nichols’ attempt. A quick break forward saw Yan Dhanda mask a neat backheel into the path of Jordon Garrick, who turned home a finish past Jack Bonham. 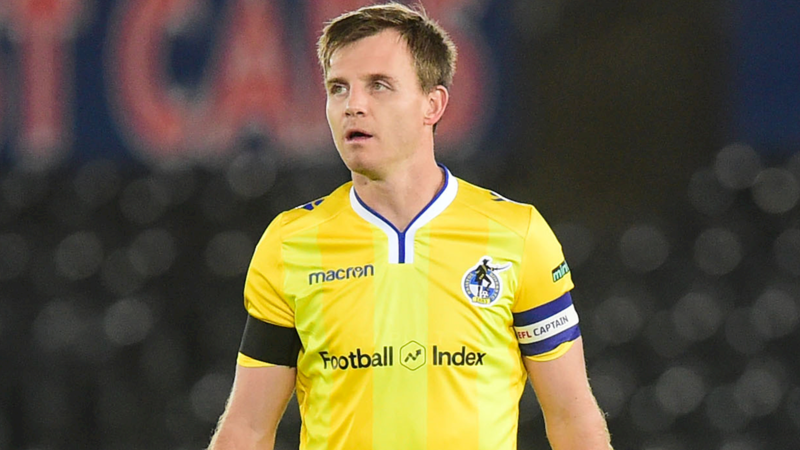 The lead for the hosts was shortlived, as just five minutes later Rovers were back on level terms as Tony Craig guided a delicate header into the Swansea net from a well-worked set-piece from Ed Upson – with the stand-in captain doing well to battle his way to the delivery inside a congested penalty area. 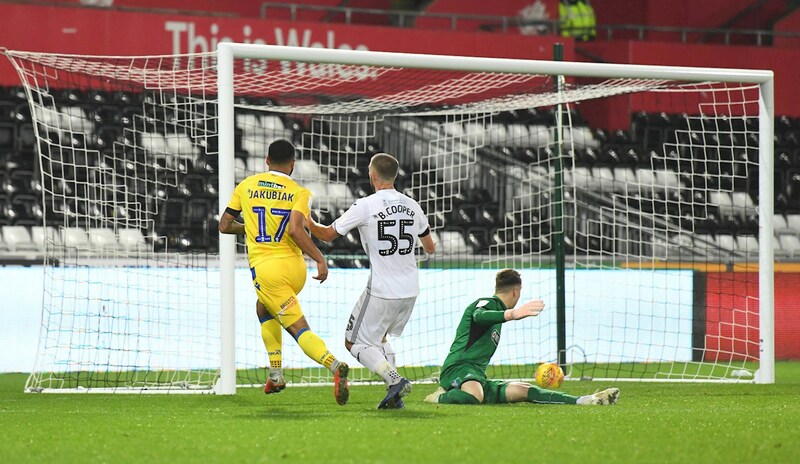 There was chances for a late deciding goal, as Rovers resumed control of the game – Nichols did well on the left to wriggle through challenges and into the box before setting his strike partner close in, but Payne’s path was blocked by plenty of white shirts as his shot flew wide. Rovers XI: Jack Bonham (GK), Daniel Leadbitter, James Clarke, Tony Craig, Michael Kelly, Ed Upson, Liam Sercombe, Alex Rodman, Kyle Bennett (86′ Sam Matthews), Tom Nichols (74′ Gavin Reilly), Stefan Payne (74′ Alex Jakubiak). Swansea XI: Steven Benda (GK), Joel Asoro (79′ Botti Biabi), George Byers, Adnan Maric, Yan Dhanda, Aaron Lewis, Jordon Garrick, Tyler Reid (62′ Jordi Govea), Cian Harries, Brandon Cooper, Simon Paulet.